home >> hall of fame >>Torsten Gutsche. actually won 11 golds but that will not fit... he competing in two Summer Olympics, he won three golds (K-2 500 m: 1992, 1996; K-2 1000 m: 1992) and one silver (K-2 1000 m: 1996). 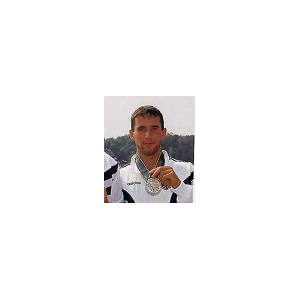 Gutsche also won twenty medals at the ICF Canoe Sprint World Championships with eleven golds (K-2 500 m: 1989, 1993, 1994; K-2 1000 m: 1989, 1990, 1991, 1993; K-4 500 m: 1998, 1999; K-4 1000 m: 1997, 1998), five silvers (K-2 500 m: 1991, K-2 1000 m: 1995, K-2 10000 m: 1991, K-4 500 m: 1997, K-4 1000 m: 1999), and four bronzes (K-2 200 m: 1994, K-2 500 m: 1990, K-4 200 m: 1997, K-4 1000 m: 1990).